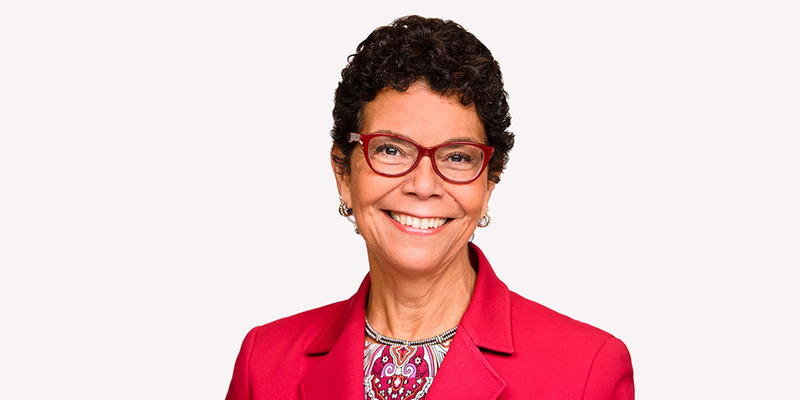 Rutgers University–Camden Chancellor Phoebe A. Haddon has been selected as the recipient of the 2019 Ruth Bader Ginsburg Lifetime Achievement Award from the Association of American Law Schools (AALS) Section on Women in Legal Education. This prominent award honors individuals with exemplary careers that demonstrate outstanding contributions to the legal academy and the legal profession through their teaching, service, and scholarship. The award recognizes recipients’ impact on women, the legal community, and the academy. The recipients are known for their mentoring, writing, speaking, and activism and for providing opportunities to others. The AALS established the award in 2013, when the inaugural award honored U.S. Supreme Court Justice Ruth Bader Ginsburg. The AALS is an organization of 179 law schools in the United States that seeks to uphold and advance excellence in legal education. Haddon also has been named the recipient of a 2019 Smith College Medal, which recognizes alumnae who exemplify in their lives and work the ability of a liberal arts education to transform lives and communities. A 1972 graduate of Smith College, the Rutgers University–Camden chancellor is among four high-profile leaders who have been selected for this honor this year, including U.S. Representative Nicola Sauvage Tsongas (D.-Mass. ), television and film producer Lydia Tenaglia-Collins, and conductor Carolyn Chi-An Kuan. The Smith College Medal will be presented at the Massachusetts institution on Wednesday, Feb. 20. Haddon served on the Smith College Board of Trustees from 1999 to 2009 and served as vice chair of the board from 2004 to 2009. A nationally noted leader in issues related to access and equity, Haddon became chancellor of Rutgers University–Camden in 2014, assuming direct responsibility for the daily administration of a campus with more than 7,600 students and 1,300 employees. Under her leadership, the university has widened affordable access through its Bridging the Gap program, which provides full or significant tuition coverage for New Jersey’s working families. She also has expanded the institution’s nationally recognized civic engagement program. She is a Class C director and deputy board chair of the Federal Reserve Bank of Philadelphia. She also serves on the board of the Philadelphia Contributionship and Vector Security. A member of the American Bar Association’s Commission on the Future of Legal Services, she serves on the boards of the Cooper University Health System, the Philadelphia Museum of Art, the Camden Health and Athletic Association, Coopers Ferry Partnership, and HERS (Higher Education Resource Services). In 2014, Haddon was an invited speaker at the annual meeting of the American Law Institute, and in October 2014, she was among the “Women of Distinction” honored by Philadelphia Business Journal. In 2015, she received the Trailblazer Award from the New Jersey Women Lawyers Association. She was among the statewide leaders honored by the Executive Women of New Jersey in 2018. In recognition of Haddon’s trailblazing contributions to legal education, the Mid-Atlantic People of Color Conference created the Banks-Haddon Junior Faculty Award. Prior to her arrival at Rutgers University–Camden, Haddon served as dean of the University of Maryland Francis King Carey School of Law, where she secured a transformative $30 million gift to the school. She previously served as a professor at the Temple University Beasley School of Law and as an associate in the litigation department at the Washington, D.C.-based law firm Wilmer, Cutler & Pickering. She clerked for the Hon. Joseph Weis on the U.S. Court of Appeals for the Third Circuit. A noted scholar in the areas of constitutional law, equal rights, and bias, Haddon is the coauthor of the books Tort Law: Cases, Problems, Perspectives (LexisNexis, 2007), Tort Law: Cases and Materials (Matthew Bender, 2002), and A Constitutional Law Anthology (Anderson, 1997). She has published numerous articles in prominent legal and academic journals and books. Haddon earned her juris doctor from Duquesne University School of Law in 1977 and her LL.M. from Yale Law School in 1985. She resides in the Mount Airy section of Philadelphia with her husband, Frank McClellan, a professor emeritus of law at Temple University.